A very curious Hermione is checking out my camera. 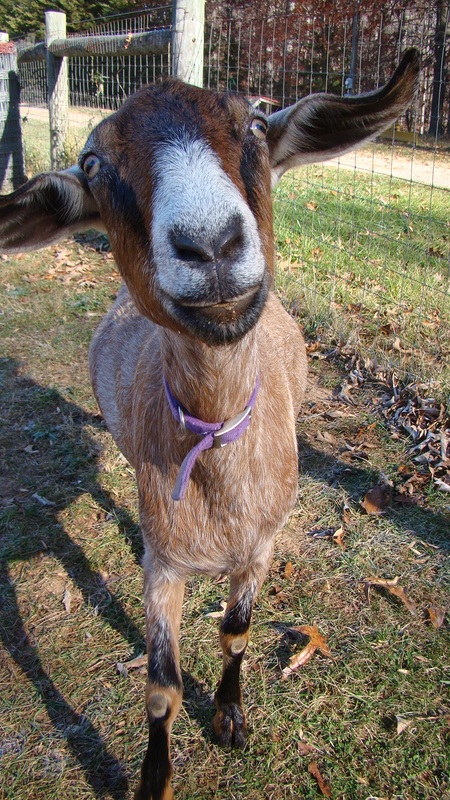 She’ll have a kid and be in milk soon (yay cheese!). She’s my best milker by far and stands quietly on the milking stand. And she’s cute. Sour cherry and apple this year. I also made lemon bars from scratch. The turkey is brining and the stuffing is prepped. There almost won’t be anything to do tomorrow. Almost. I always do them the Tuesday before Thanksgiving. I have a schedule to keep, ya know. 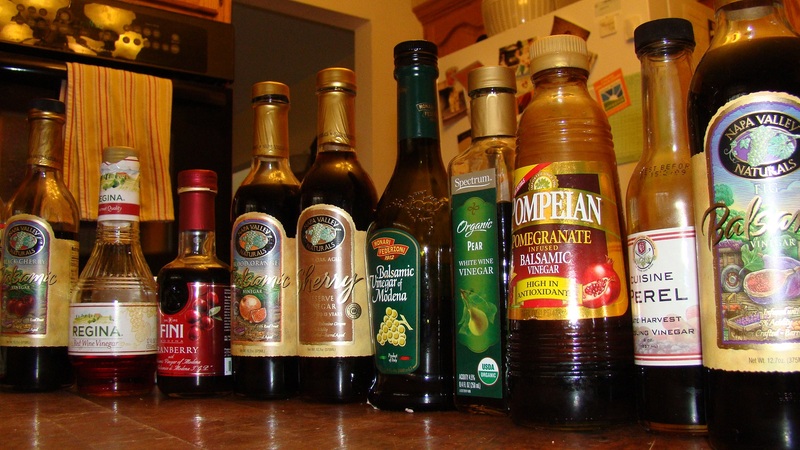 When I got out some of my vinegars this morning, I realized I have a collection, or is that an obsession? Pairing each one with the appropriate vegetable is fun. 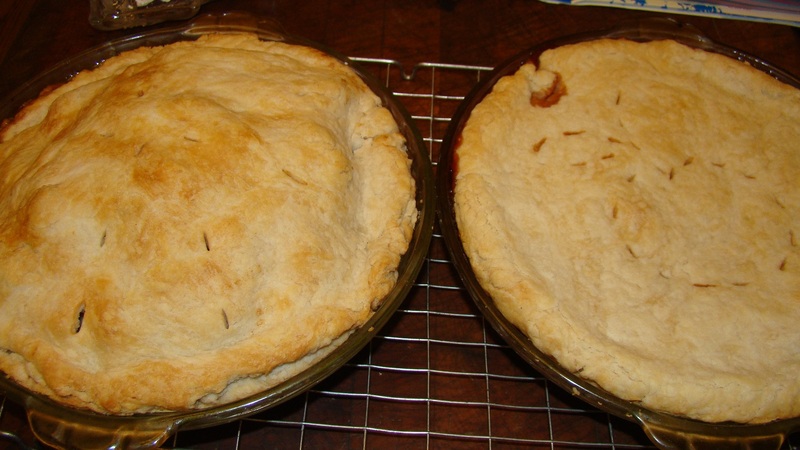 Splash it on along with olive oil, a sprinkle of kosher salt then pop it in the oven for a half hour or so. Yum! 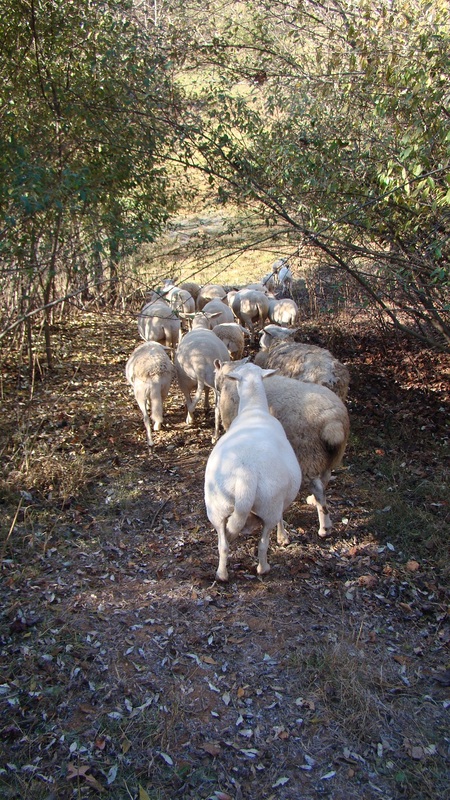 We’ve been moving the sheep to our property next door every morning. It has a few acres for them to graze on. The grass is still pretty high over there, so this keeps us from having to put hay out too early. I drive the mule out around 4PM every afternoon to check our mail (our box is probably 3/4 mile from the house) and that’s their signal it’s time to come home. By the time we get up to the gate, they’re waiting patiently. Jack seems annoyed that he’s not needed to go fetch them so we work him a little bit afterwards. 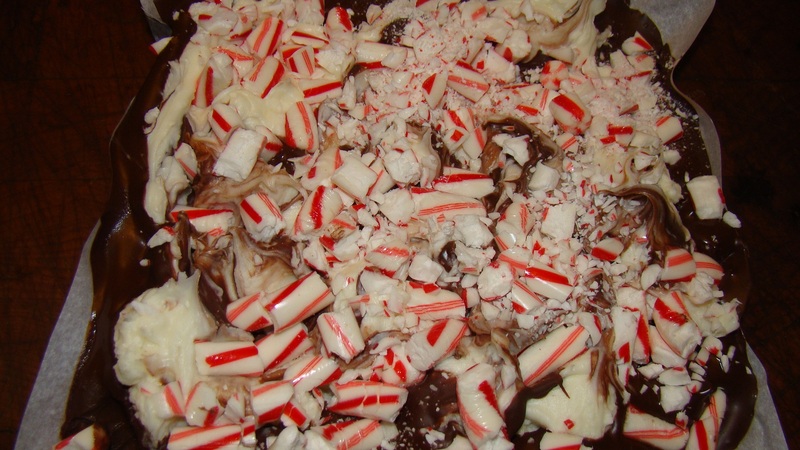 Peppermint bark, anyone? This stuff is crazy good. 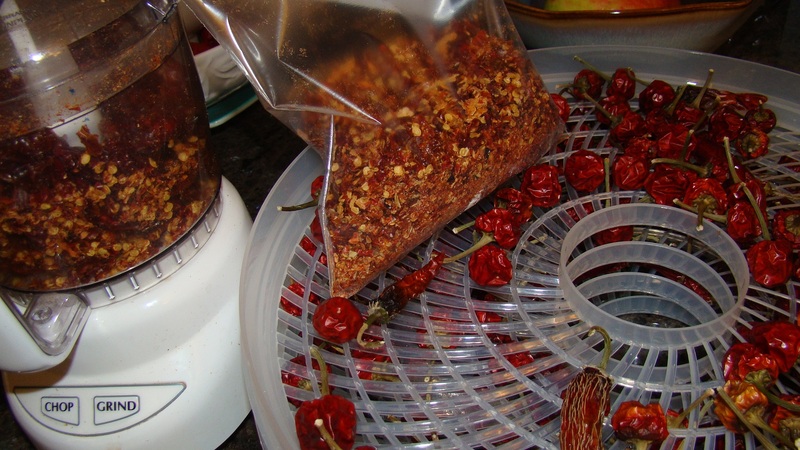 I finally got around to making our crushed pepper blend, using Joe’s Round, Joe’s Long, Red Carribean Habaneros and Ghost Peppers that we grew ourselves and dried in our food dehydrator. It’s crazy spicy and you don’t want to be anywhere inside our house on pepper flake day(!) A few years back I gave some to one of the chefs who is a customer of ours. Her husband is also a chef and decided to crust a steak with those flakes he found in the pantry while she was away on business. He called and asked her if she was trying to kill him. Ha! 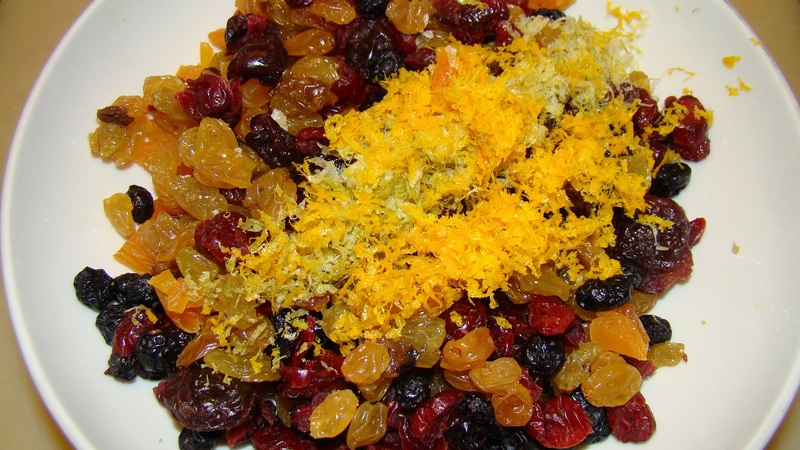 This dried fruit and citrus zest mixture was stewed with spiced rum then went into a homemade fruitcake recipe I found on foodnetwork.com. I’ve been spritzing the cake with brandy every few days. It smells divine!